Photo by U.S. Fish & Wildlife Service A Say’s phoebe, such as the individual pictured, was a remarkable find for the Blackford CBC in Virginia. The Blackford Christmas Bird Count took place Jan. 2, 2016, with 65 species found. The highlight of the count was a Say’s Phoebe found by Laverne Hunter, Peggy Herbert, and Jane and Jerry Thornhill. The Say’s phoebe, a member of the tyrant flycatcher family, is related to the Eastern phoebe. 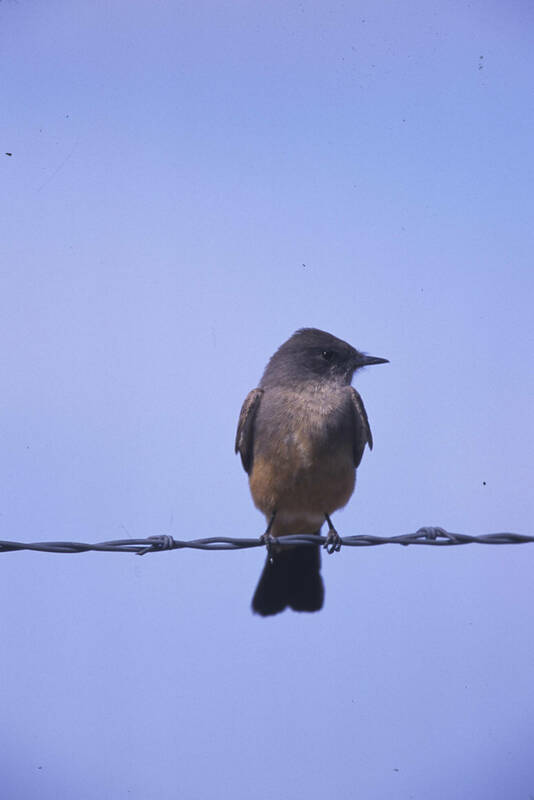 A common bird in the western United States, the Say’s phoebe typically resides in dry, desolate areas. This bird was named for early American naturalist Thomas Say. Several crustaceans and mollusks are also named in Say’s honor. Say was a descendant of other early American naturalists William Bartram and John Bartram. One other phoebe — the black phoebe — nests in the United States, primarily in California and Oregon. The black phoebe also ranges throughout Central and South America. Say’s phoebe is an exceptional find in the eastern United States and is definitely a stand-out bird for a Christmas Bird Count conducted in Virginia. The Bristol Christmas Bird Count held Dec. 27, 2015, set a new record, but it wasn’t for the number of birds found. A high temperature of 76 degrees represented the highest temperature ever recorded for a CBC. In fact, the count yielded fewer species than degrees on the thermometer. The 74 species found represented the lowest species total since 1991, according to count compiler Richard Lewis of Bristol, Tennessee. Lewis speculated that the high temperature is likely linked to the low number of species found on the recent CBC. Photo by U.S. Fish & Wildlife Service Nine individual Northern harriers, such as the one pictured here, were good finds for the Bristol CBC. The Bristol CBC has been conducted continuously since 1956. Lewis noted that the count was also conducted one other year, back in 1931. This year’s CBC marked his 35th year as the compiler. Members and friends of the Bristol Bird Club conduct the annual Bristol CBC, which is the only seasonal bird population survey conducted by the club. Several other locations in southwest Virginia and northeast Tennessee also conduct their own CBCs. 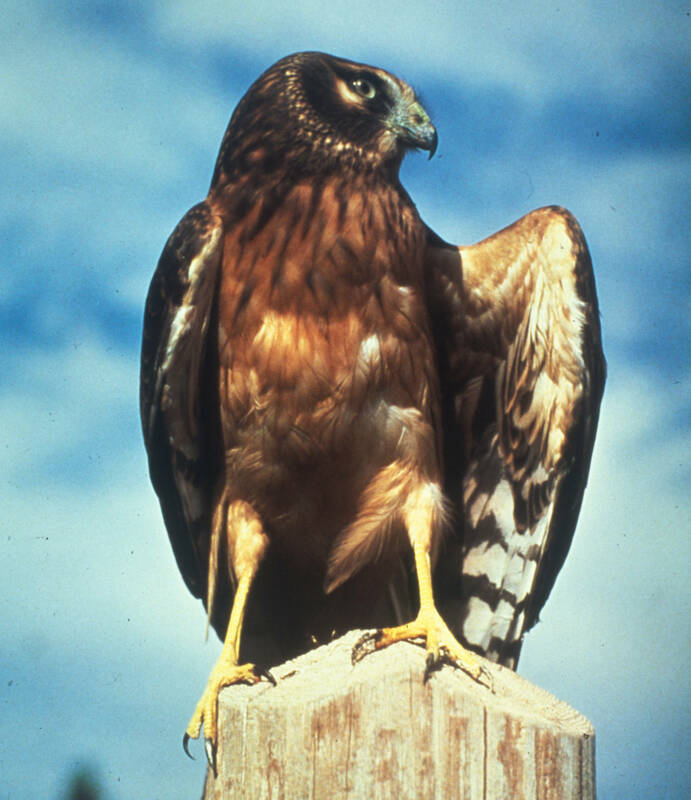 According to Lewis, notable finds for the 2015 Bristol CBC included a common gallinule, Northern saw-whet owl, nine Northern harriers, and seven bald eagles. Other good species included gray catbird, red-headed woodpecker, eared grebe and pine warbler. Photo by U.S. 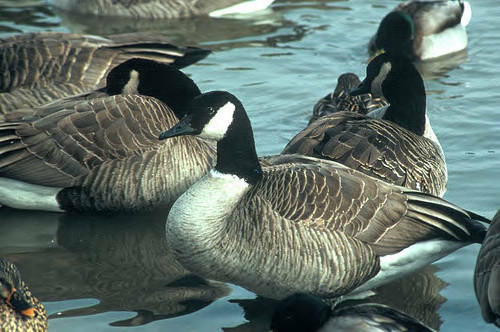 Fish & Wildlife Service Canada Geese were a common bird for the Bristol CBC. The most numerous bird on the count was the European starling with 8,982 individuals counted. Other common birds included American crow (857), Canada goose (612) and American robin (520). A total of 14,642 individual birds were counted. The very first Christmas Bird Count, organized by ornithologist Frank Chapman, was held in December of 1900. For that first count, 27 observers looked for birds in 25 locations across the United States. This annual survey of bird populations has evolved into a global undertaking. During the 113th count conducted in December-January of 2012–2013, 71,531 people participated in 2,369 locations in the United States, Canada and several other countries. This annual census provides valuable insights into trends in bird populations. As counters participating in the recent Bristol CBC discovered, it hasn’t been a particularly exciting winter season for bird enthusiasts. Based on some communication with readers, I’m not alone in finding activity is down at my feeders. 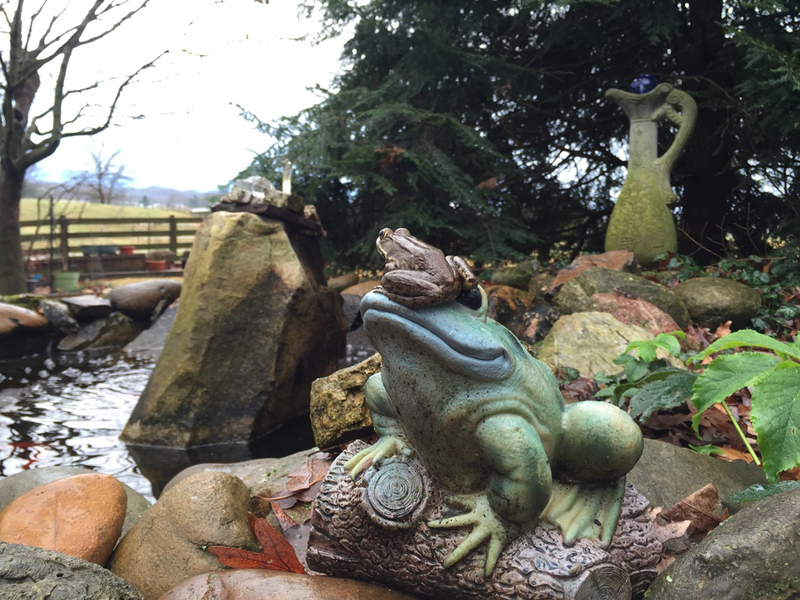 Photo Courtesy of Sarah Smith The unseasonable mild December weather in the region produced unusual photo opportunities, such as this photo of a frog at an ornamental home at the Smith home in Abingdon, Virginia. I received a recent email from Randy Smith of Abingdon, Virginia. I met Smith at last year’s birding festival at Hungry Mother State Park. He sent me the email to share a couple of things, including photos of a real frog sitting on top of a ceramic frog at his goldfish fountain. What makes the photos remarkable is that they were taken the day after Christmas, which is usually a time of year when frogs have been absent already for a couple of months. He noted that he has been filling his thistle/nyger feeder only once a week or so, when in past winters he has usually re-filled it at least three to four times per week. Even keeping the feeder stocked has produced almost no American goldfinches, one of the finch species attracted by nyger thistle seeds. I agreed completely with his assessment of bird activity. This past December was an unusually warm winter month. I was still seeing dragonflies at my fish pond as late as the day after Christmas, which was coincidentally the same day Smith photographed the frog at his home. I blame the warm weather on this decrease in bird-feeder activity. With such mild weather, birds don’t need to rely on our feeders to supplement their diet. The birds will probably return if and when the region ever experiences any sustained cold weather. So far, January has been slightly more typical in regard to temperatures, so perhaps some fun birds might start showing up at feeders soon. At the time I was writing this week’s blog post, Winter Storm Jonas was making itself felt in the region. I will write about the spike in bird feeding as a result of the snowstorm in next week’s post. This entry was posted in Birding, Birds, Christmas Bird Count, Winter birds, Winter Storm Jonas and tagged Birding, birds, Bristol Herald Courier, Carter County Compass, Christmas Bird Count, Elizabethton Star, Erwin Record, Feathered Friends, McDowell News, Our Fine Feathered Friends, The Erwin Record, Winter birds, Winter Storm Jonas on January 24, 2016 by Bryan Stevens.